I photographed this Netted Mock-olive Notelaea ovata today in Zone 10. 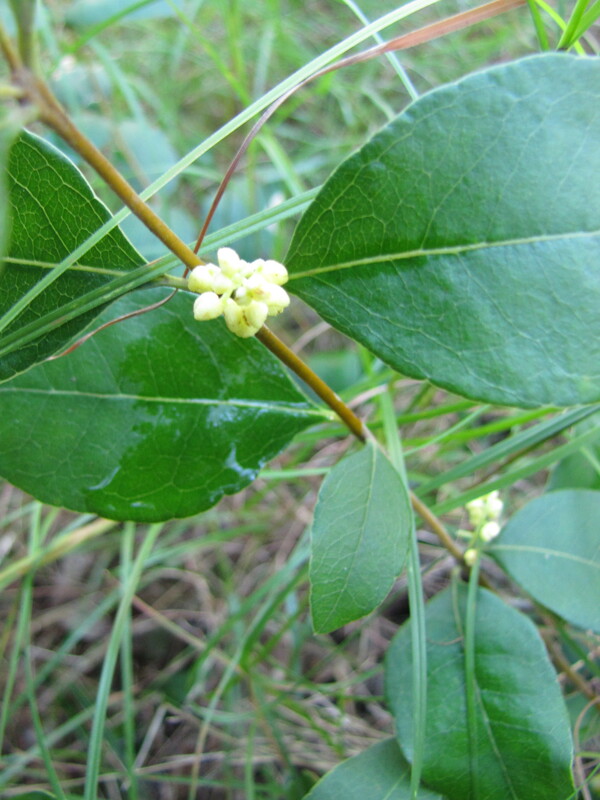 Small cream/yellow flowers are followed by small black olive like fruit. This is special because I have had been watching this small shrub for a couple of years waiting for it to flower for an identification. With its addition to Flora & Fauna of Mt Gravatt Reserve we now have 76% of the plant species in the Reserve photographed. BCC Habitat Brisbane have been helping wage war on the invasive Chinese Elm Celtis sinensis by removing the large trees. 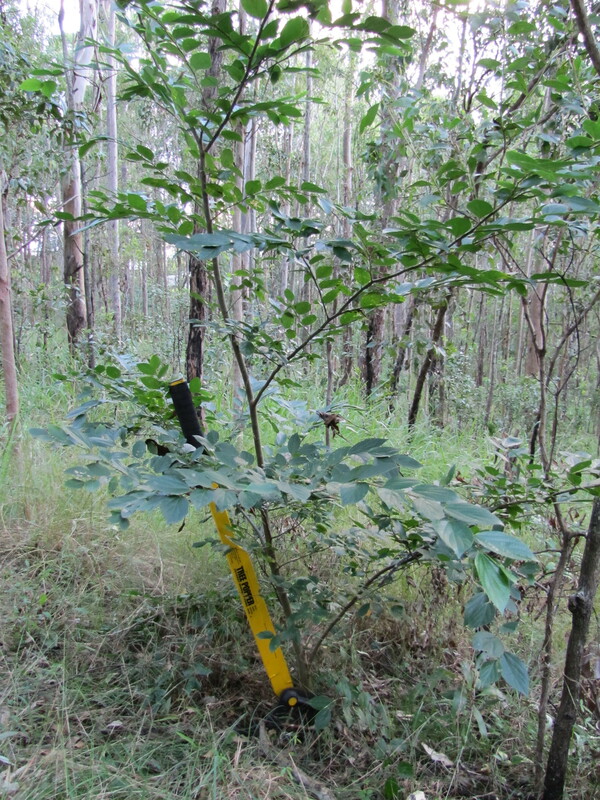 We have been removing up to twenty small Chinese Elms each week in our Bushcare sites. Most Elms we find are very small and can simply be pulled up. I used the TreePopper to up-root this larger tree in Zone 10. The TreePopper is one of the most useful bushcare tools provided by our Brisbane City Council sponsors. 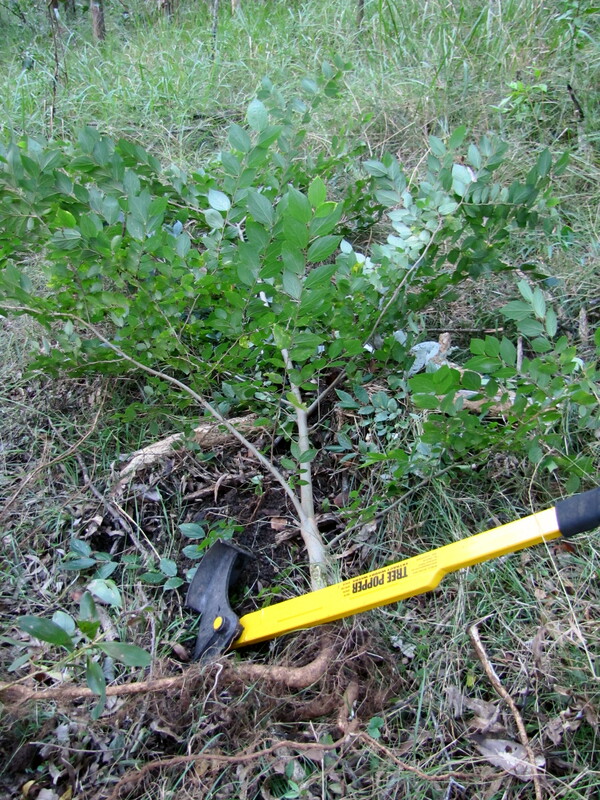 Pulling woody weeds like Elms and Ochna up by the roots is definitely best practice. I still had to cut and poison one larger Elm but up-rooting three out of four is a good start.